Coronary angioplasty is a surgical procedure where a small balloon tipped catheter is inserted and inflated to open a coronary artery at the point of narrowing or blockage. The balloon catheter is deflated and then removed. After which, blood flow in the coronary artery is improved. The procedure may include the insertion of a ‘Stent’. 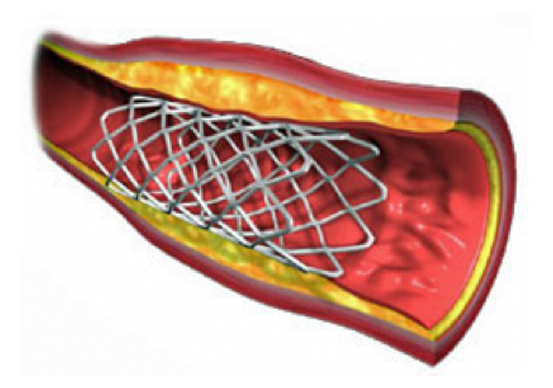 * A stent is a small tubular shaped stainless steel wire cage, which is inserted into the artery to hold it open and allow blood flow. Coronary angioplasty is performed in a special ‘Cath-labs’, which are usually undertaken in the Monash Medical Centre, Jessie McPherson Private Hospital or Valley Private Hospital. Local anaesthetic is injected into the point where the catheter is introduced, typically in the wrist or else in the groin or arm. Patients undergoing the coronary angioplasty procedure will be required to stay overnight with discharge being the following day.